Spanish giants Real Madrid and Atletico Madrid have been banned from registering players for the next two transfer windows. They have been punished by world governing body Fifa for breaching rules over the transfer of minors - both clubs say they will appeal. The ban does not cover the current January transfer window. 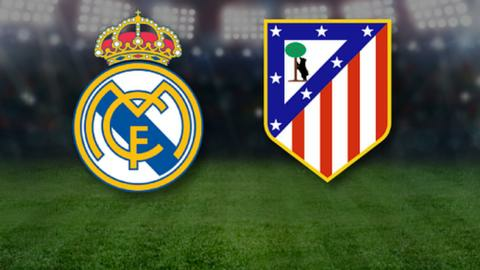 Atletico were fined 900,000 Swiss francs (£622,000), while Real were told to pay 360,000 (£249,000). Real said that the claim that they had signed foreign players under the age of 18 without being properly registered was "absolutely untrue". "Real Madrid will appeal this decision of Fifa in all the sporting incidents, considering them absolutely inappropriate," said the club. Real director general Jose Angel Sanchez called the ban "absolutely unjustified" and "totally unexpected", saying he had "high hopes" of overturning it on appeal. Atletico said: "Our club is not in agreement with the sanction from international football's governing body and will study all the documentation we've received to present an appeal." Barcelona were given the same penalty in April 2014 for breaching rules on the transfer of under-18 players. That ban, which ended this month, did not stop the La Liga side from signing players. They bought Arda Turan and Aleix Vidal in 2015, though both players were prevented from playing until the current window opened. The next two transfer windows are July/August 2016 and January 2017. Where does this leave Real Madrid? Could the transfer ban have an impact on the futures of Ronaldo and Bale? BBC Sport's Simon Stone says the ban could have an impact on the futures of David de Gea, Cristiano Ronaldo, Gareth Bale and Sergio Aguero. "All four have been linked with transfers involving Real Madrid," he said. "All four - and anyone else for that matter - could be affected by the announcement. "If Real want to revive their interest in De Gea, whose deadline-day transfer from Manchester United last summer collapsed, or pursue Manchester City striker Aguero, they will do so knowing either man could not play until the 2017-18 season. "Equally, if they decide to sell a Galactico, like Ronaldo or Bale, both of whom have been linked with Manchester United, Real know they cannot then bring in a high-profile replacement and immediately play them. "On the face of it, it leaves the Spanish superpower in a state of flux, with new coach Zinedine Zidane only able to promote from within. "Quite handy, therefore, they have secured 19-year-old Marco Asensio, currently on loan at Espanyol, Jesus Vallejo, 19, who has returned to Real Zaragoza on loan, and 17-year-old Norwegian Martin Odegaard from Stromsgodset. "Odegaard is now in the Real Madrid B team Zidane managed before replacing Rafael Benitez as coach of the main side. "Worth noting as well that Real Madrid do have a couple of options. "They could spend the next 18 days on a recruitment campaign as the ban does not take effect until after the current window is closed. "Or they appeal against the sanction and delay its implementation. Barcelona did this in 2014 and used the time to sign Luis Suarez." Can Atletico weather the storm? Spanish football writer Andy West says few clubs "could be better placed to absorb a transfer ban" than the current La Liga leaders. He says they boast "a deep squad and arguably the most talented batch of young players in Europe". "Goalkeeper Jan Oblak (23), centre back Jose Maria Gimenez (20), midfielders Saul Niguez and Oliver Torres (both 21), and forwards Angel Correa (20), Luciano Vietto and Yannick Carrasco (both 22) are already established members of the squad. "And perhaps as an indication that they had seen this news coming, they further strengthened in early January with the arrival of two central midfielders: Augusto Fernandez from Celta Vigo and Matias Kranevitter from River Plate. "The only potential problem position is centre forward, where Jackson Martinez has struggled since signing from Porto in the summer and Fernando Torres has failed to score since September. "Perhaps the answer will come from another of the club's talented young players: 23 year-old Borja Baston, scorer of 10 league goals this season during a loan spell at Eibar. "But Atletico's biggest priority now will be ensuring they keep hold of their star player, French forward Antoine Griezmann, who is in talks to extend his contract with a new 100m euros (£75.4m) buy-out clause." According to West,the bans are "huge news" in Spain, prompting "frenzied speculation" across the country's media. "The website of influential sports newspaper Marca is dominated by the story, publishing five different stories within a couple of hours of the news breaking," he says. "One of those speculates which loaned-out players Atletico and Real may look to bring back, while another article recalls how Barcelona managed to drag out the appeal against their ban to allow them to sign Luis Suarez and Ivan Rakitic in the summer of 2014. "Another newspaper published in Madrid, AS, looks on the bright side by delivering an article which trumpets the 'incredible technical repertoire' of Real's teenage winger Marco Asensio, currently on loan at Espanyol. "Barcelona's media, predictably, have a different approach, with Sport quickly publishing a story headlined: 'The signings Florentino [Perez, Real president] cannot make,' including Eden Hazard, Paul Pogba and Mario Gotze. "And with the news being anticipated for several months, there has also been a fair degree of 'told-you-so', with El Partido De Las 12, a radio show on Channel Cope, triumphantly tweeting: 'We told you this would happen on 28 April 2015. The following day, Real Madrid denied it.'"